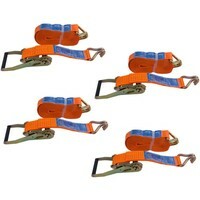 The subject of the auction is the cargo strap with the 0.5 mm buckle and the ratchet. 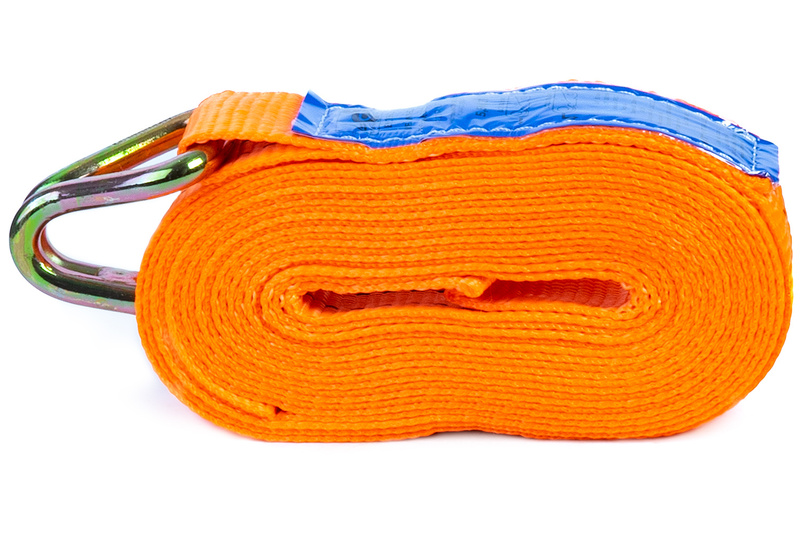 The dimensions of the lashing strap are: length 4 m, width 35 mm, maximum load capacity 2 t.
The strap is suitable for securing goods during the transport and allows to prevent the damages of items placed on a trailer. The product is good for professional and private use. Thanks to the lashing straps you can secure the goods as follows: transported products, transported vehicles on a tow truck, luggage carried on a deck, bicycles, skis or other things. Our product is very strong and complies with the European standard EN 12195-2 and the quality standards GS TUV. The cargo straps are allocated to international transport. On the label of the product there is a specification in English and Polish. The label is sewn into a lashing strap and is additionally secured with a foil that remains undamaged even after a long period of use. 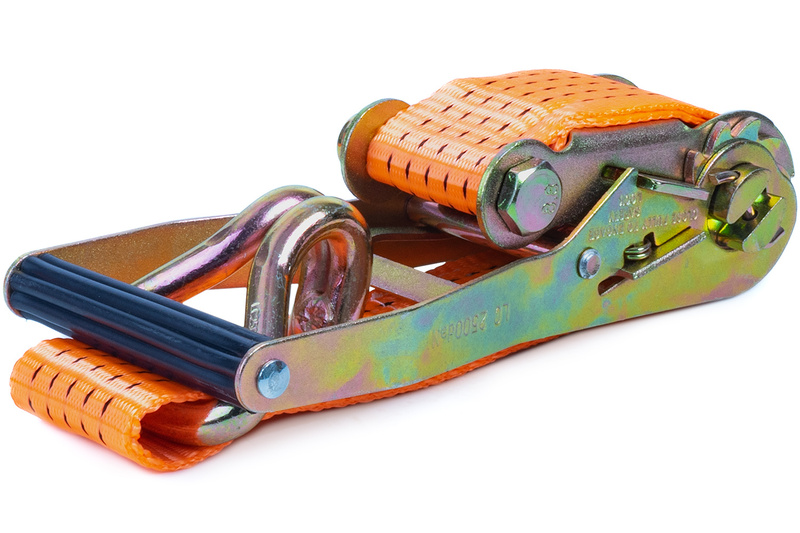 The strap band has the tensioner (the large buckle with a ratchet) made of the thick steel. The robust gear and the buckle with downward direction of pulling ensure easy and comfortable use. The maximum capacity is also engraved on the buckle and the hook.